This important new study examines the changing place and meaning of lifestyle sports – parkour, surfing, skateboarding, kite-surfing and others – and asks whether they continue to pose a challenge to the dominant meanings and experience of ‘sport’ and physical culture. Drawing on a series of in-depth, empirical case-studies, the book offers a re-evaluation of theoretical frameworks with which lifestyle sports have been understood, and focuses on aspects of their cultural politics that have received little attention, particularly the racialization of lifestyle sporting spaces. 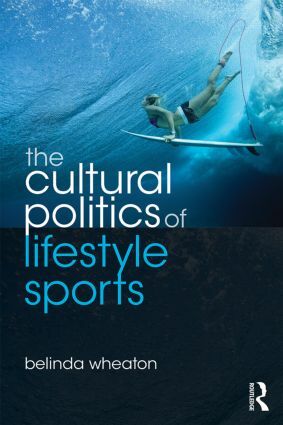 Centrally, it re-assess the political potential of lifestyle sports, considering if lifestyle sports cultures present alternative identities and spaces that challenge the dominant ideologies of sport, and the broader politics of identity, in the 21st century. Casting new light on the significance of sport and sporting subcultures within contemporary society, this book is essential reading for students or researcher working in the sociology of sport, leisure studies or cultural studies.